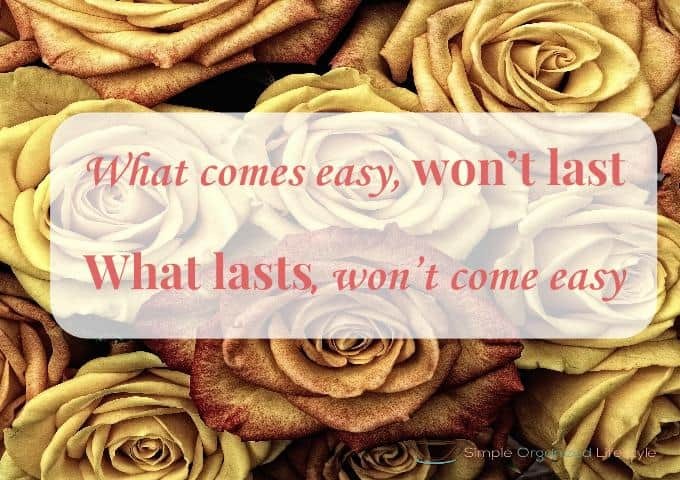 Take just a minute to think about where your short and long term goals are visible. If they are on a sticky note, good. How about a vision board? Even better! But what about the action plans that go along with those goals to make them happen? How about a place where you can organize your ideas and track progress on goals? 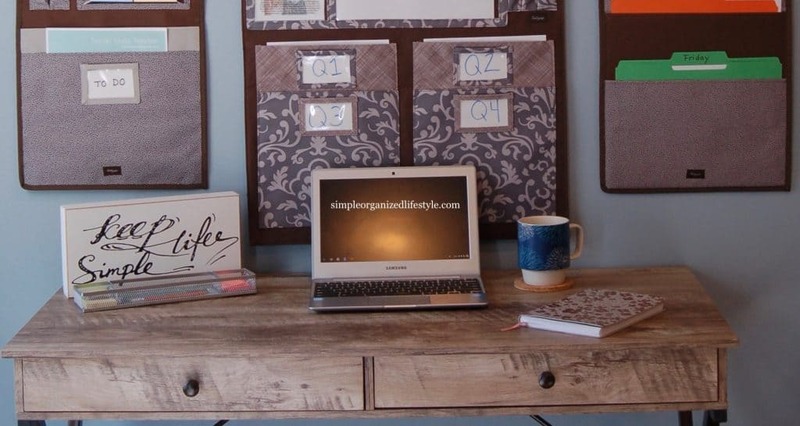 This is how to make a goal organizer creative space, a small space that is dedicated to putting those plans into action. Below is my creative space and how I use it to work on goals. Hopefully it will give you some ideas to create a space that works for you! This the area where I keep all of the goals related to my business. However, it works for personal or professional goals. A space like this is great at home or at work. My desk and hanging files are set up in the corner of our bedroom. Part 1 of this article will be what is actually in the space and part 2 will be an example of this system in action. 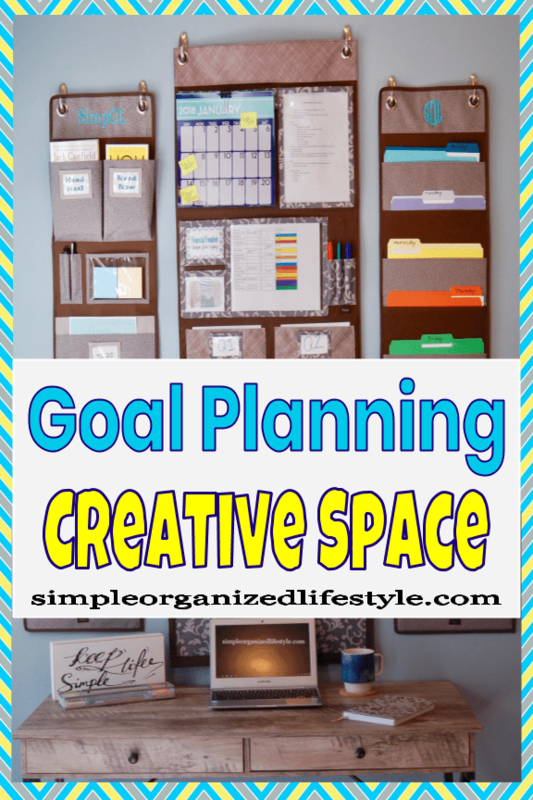 What’s in the goal organizing space? The statistics are hard to ignore on the critical step of writing down your goals. Put them in a place where you can see them every day. What we see becomes our focus and what we focus on influences our actions. These four folders work out great to hold action steps for each quarter. This gives you a time frame to regularly check in on the progress of your goals and adjust your plans accordingly. These are folders for each day of the week (Monday-Friday) that contain checklists of daily tasks and essential information for those small steps that get you closer to the overall goal. I love the “old fashioned” dollar store calendars in addition to what I keep on my phone. A calendar in front of you just helps as a visual reminder of your timeline. Everything you need in one quick reference sheet to help you work on your goals. This is a space for any tools or resources related to your goals. It may be a to do list, sticky notes, books, and/or articles with things you want to remember. A creative space to work on goals should be a place to think and write freely. Keeping a journal in this space is a great way to capture your thoughts and ideas. A goal organizer creative space in action. I’ll show you how this space could be used for a specific personal finance goal. Index card- I will pay off my credit card debt of $6000 in one year! Action step 1- Stick to the budget and look for more areas to save money. Action step 2- Bring in extra income by selling clutter or finding part-time work. Action step 3- Do not use the credit card while you are getting rid of the debt. List action steps which may be similar or slightly different based on Q1. List action steps which may be similar or slightly different based on Q2. List action steps which may be similar or slightly different based on Q3. If this system is being used on a goal to get out of debt, you could keep reminders of bills to pay, things to sell and track your weekly progress. As it relates to personal finance, this could be account numbers, balances and anything related to your budget. You may have your favorite personal finance book handy for motivation. Another great idea for a resource is a printable goal tracker. If you are already a subscriber to the resource library, it’s in the “Money Management” folder. My desk was a birthday gift (came from Big Lots) and the organizers were also a gift from a family member that sales Thirty One products. I can’t find them anywhere on their website. Having your goals visible and creating a space to track your progress will pay off! All of the “little things” you do add up to time and actions that get you closer and closer to achieving your goals. 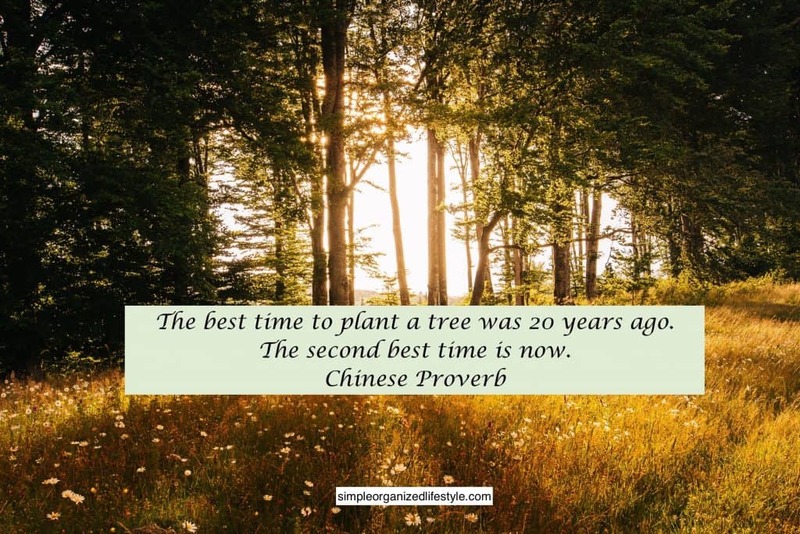 Before you know it, you will be ready to create new goals and celebrate accomplishments! I love this! I’m such a visual person so it would be awesome to have everything displayed right where I can see. Thanks for all the great ideas!! Thanks, definitely helps having it all in once place. Glad you got some ideas! 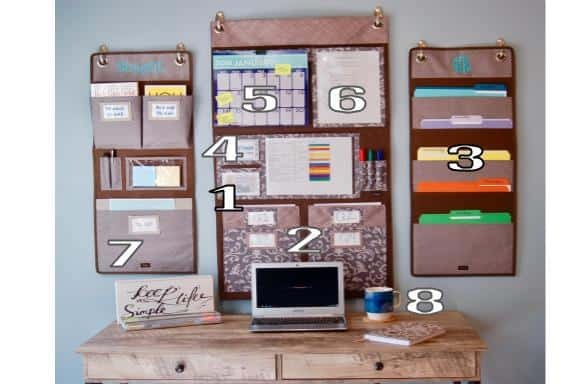 Love this and your organized space. Looks like a great place to work. And that desk is awesome. Thank you, the desk works out great for a small, simple area to write or get some work done! I love your creative space and how organized it is! I like how you’ve got your big goals broken down into smaller pieces by quarter & week. Thanks Leslie! Breaking them down helps me stay on track for sure.